The Chad Valley Slide and Splash Inflatable Bowling is amazing fun. 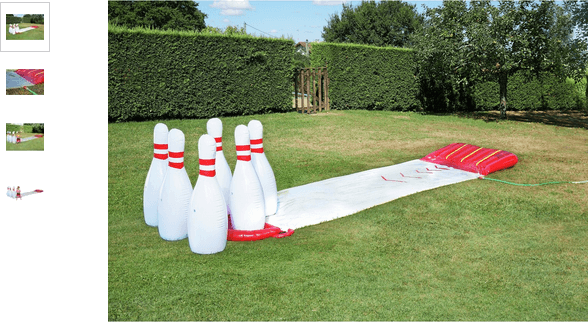 Easy to inflate with a garden hose, set up your pins then launch yourself down the inflatable lane as you attempt to earn yourself a strike. Little ones and their friends will be giggling and laughing with joy as they go sliding down the ramp to splash down into the pins at the end. Comes with a pump and repair kit too. Get money off with April 2019 free Argos voucher codes, see if there's a discount code for the Chad Valley Slide and Splash Inflatable Bowling product.